As Australian manufacturers are coming under foreign ownership to shore up local viability, at least one Aussie operator has turned the tables, taking control of a significant slice of a UK bus business. Bus industry identity Neil Smith has spread his enterprise Transit Systems beyond Sydney's shores to the 'old dart', buying three London bus depots from First Group for £21.3 million (AUD$31 million). UK-based company First Group was an unsuccessful bidder for a slice of Melbourne's route service contracts in 2012, and just 12 months later has now sold part of its operation back in London to Transit Systems. 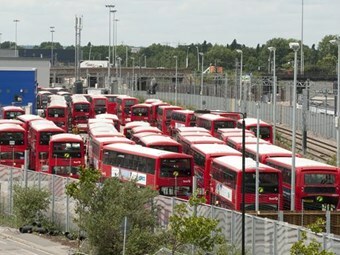 Operating as Tower Transit as part of the Transport for London network, the Australian operator has taken over the running of 400 double and single deck buses from depots at Westbourne Park, Lea Interchange and Atlas Road, transitioning 1500 employees. With the acquisition, the newly created Tower Transit will also be the only operator of hydrogen powered buses in London. The acquisition is subject to regulatory approval, including contractual obligations with Transport for London. The takeover of First Group's three London depots is being transacted by Ernst & Young Corporate Finance and Eversheds LLP. Transit Systems CEO Clint Feuerherdt says the company has a proud history of successfully running transport operations across both private and public contracts in Australia. "We are excited to start operating in London as part of the Transport for London network and build on our Australian success," Feuerherdt says. "We'll be taking best practice from all of our operating contracts, working successfully with Government and private companies, to ensure the transition is smooth and our service to passengers and Transport for London exceeds expectations," he says. Transit Systems operate route service bus contracts in Perth, Sydney and Adelaide, and operate large passenger ferry operations in Gladstone and Moreton Bay in Queensland.